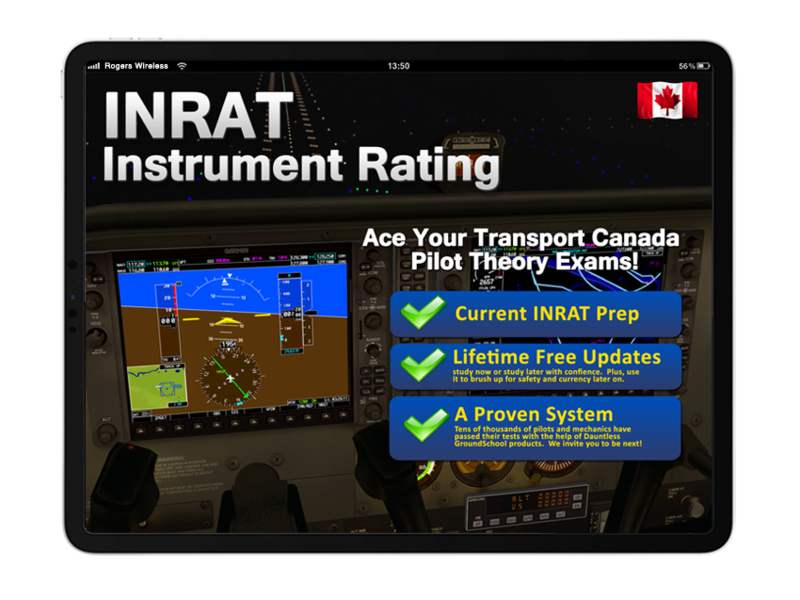 ACE your Transport Canada INRAT (Instrument Rating) Written Exam! Includes hundreds of questions similar to those on the actual INRAT exams with detailed, often illustrated explanations. 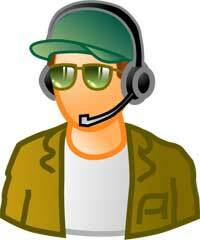 “ Thanks for the great software and support over the past month or so. I actually bought the product about a year ago but I was extremely busy this past year, mostly with the fires in Fort McMurray (I'm a full-time helicopter pilot with Phoenix Heli-Flight). Now that the busy season is behind me, I decided to take on the INRAT (for airplanes - I'm also a fixed-wing CPL) and passed today with 88%. The exam invigilator at TC in Calgary was really impressed with my mark and made mention that it was a high mark and not typical of most grades for the INRAT. I can certainly say that your software was always up to date, easy to use and certainly reflected the most typical but still comprehensive material that I saw on the actual TC exam. There were no surprises. Don't get me wrong, it's still a lot of work but I can credit your application with helping me get that mark. Approximately 1000 total Questions, representative of actual Transport Canada questions (current for 2019!) 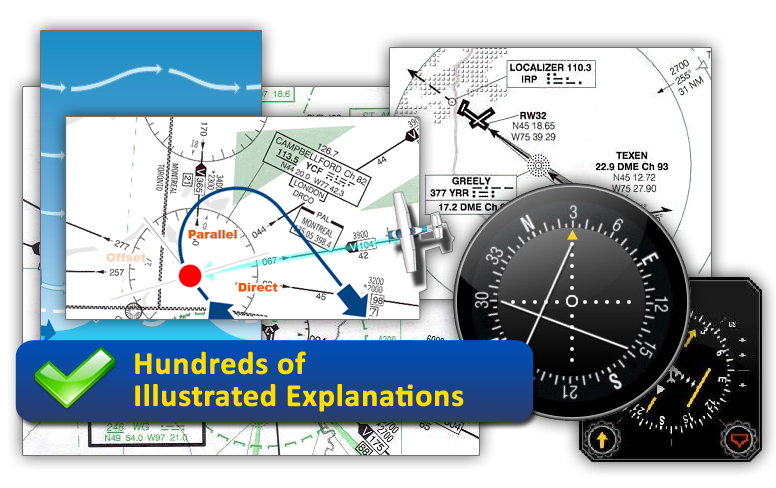 with full, detailed explanations of the answers written by an experienced team of flight instructors led by professional pilot and flight instructor Dominique Bergeron. 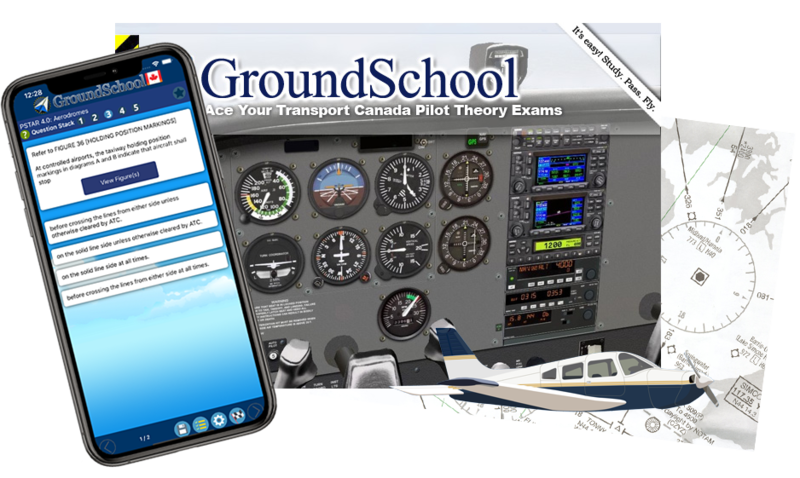 Our softwre and apps cover all required ground subjects for the Transport Canada Instrument Rating written exam (INRAT) for aeroplanes. While no preparation material can in all honesty guarantee you a passing mark on your actual test, If you use this software conscientiously and study both the questions and explanations and can answer the vast majority of the 1000 or so questions, you are very, very likely to pass your test and pass with a very high score indeed! This software can be used for independent home study, and with your school's/FTU's consent and supervision, time spent completing this course can be transferred over to meet the minimum ground school hour requirements. This software is up-to-date with latest Canadian aviation regulations and for the new Graphic Area Forecast weather format. Unlike with books and/or other courses, updates to this software are always free! Remember: the more you learn on the ground now, the less you will pay and struggle in the air later. Dominique is an Airline Transport licensed pilot, currently flying King Airs for a Western Quebec company. She has been a flight instructor for over 10 years, teaching from private license up to multi-IFR rating. Currently residing in Rouyn-Noranda and Montreal, she also works part-time for a flight simulator company as a test engineer, testing anything from Boeing to Bombardier CRJ simulators. Outside of work, Dominique enjoys going out with friends. The instrument rating allows a PIC to fly day or night in instrument meteorological conditions (IMC), for example when cloud layers obscure the pilot's view of the ground. An instrument rated pilot is able to fly and maintain situational awareness strictly by using instruments and avionics. This rating is one of the more involved ratings to be earned and is a major step toward earning more advanced licences such as an airline transport pilot—aeroplane. The specific privileges of an instrument rating are in accordance with instrument flight rules (IFR) and as detailed in the CARs (602.121). The rating may only be exercised with that group of aircraft to which flying under IFR is applicable. That is, an aircraft may only be operated as specified by its flight authority. As such, only aircraft with a flight authority certifying IFR operations may be flown under IFR, and only by a pilot with an instrument rating in hand. 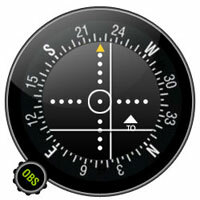 Moreover, an instrument rating is often combined with other ratings to form a set of piloting privileges. For example, the multi-engine rating is required in addition to an instrument rating to fly a multi-engine aircraft under instrument flight rules. Note that a VFR-Over-the-Top rating is implicit in an instrument rating and is issued automatically by Transport Canada upon request. The requirements for an instrument rating are the same for both a private pilot licence—aeroplane and a private pilot licence—helicopter. However, Transport Canada issues distinct instrument ratings for each of the following four groups of aircraft types dependent upon the nature of the training for the instrument rating and the associated flight test. A minimum grade of 70% on the Transport Canada INRAT examination. (See also Study and Reference Guide for the Written Examination for the Instrument Rating Aeroplane and Helicopter (TP 691)). A Line Operational Evaluation (LOE) from an approved Advanced Qualification Program (AQP) is considered to have met the Part VI or Part VII PPC.